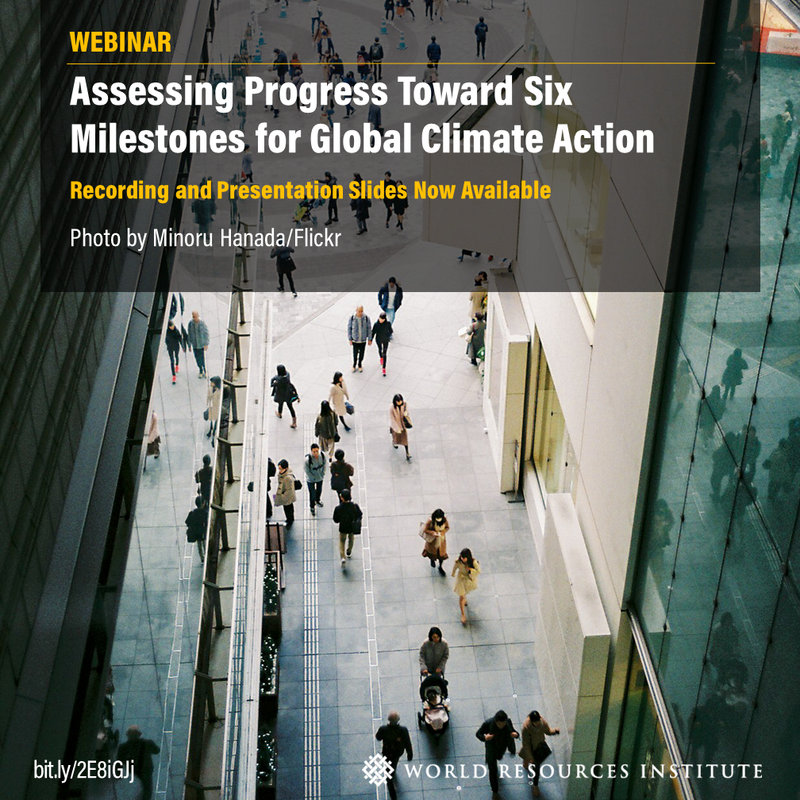 In a new paper, World Resources Institute assesses progress toward six milestones set by Mission 2020 – in energy, transport, land use, industry, infrastructure and finance – that if met would put governments and industries on the path toward achieving the 1.5º C goal. The world is already experiencing severe impacts of climate change, from extreme heat waves, sea level rise to species die-offs and crop failures. We must act quickly to stabilize global warming below 1.5° C (2.7° F) to avoid much greater threats, as the IPCC report released last October made crystal clear. This requires transformational changes from how we power our homes and factories and build our cities to how we feed our families and move around. So how is the world doing? Are countries, businesses, states and cities making the deep structural economic and societal shifts that are required? The research shows that we are not yet on track. Despite encouraging progress in some areas such as the uptake of renewable energy, in many other areas, extraordinary action is necessary to meet the milestones. Encouragingly WRI’s new analysis points to tremendous, untapped opportunities to scale up and accelerate action across all sectors. Please join our webinar on February 28 where the research authors will offer unique insights on how policy makers, business leaders and foundations can reallocate their resources and accelerate their efforts to put the world on track in the fight against climate change. This discussion will be of particular interest to stakeholders working to step up national climate ambition in the lead up to the UN Secretary General’s Climate Summit this September.